Down & Out Books, 9781946502513, 304pp. It happened the night Maggie Wilbourne was to be put to death, the first woman executed by the state of Pennsylvania in modern times. That was when a group of women passionately protesting Maggie's imprisonment struck. They blew up a local dam, flooding the town of Everton and indirectly inspiring a hellish night of crime and chaos. Fourteen of today's new and most exciting contemporary crime writers will take you to the fictional town of Everton, with stories from criminals, cops, and civilians that explore the thin line between the rich and the poor, the insider and the outsider, the innocent and the guilty. 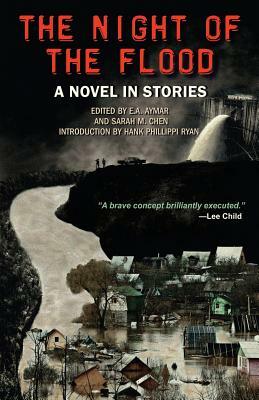 Whether it's a store owner grimly protecting his property from looters, an opportunistic servant who sees her time to strike, or two misguided youths taking their anger out against any available victim, The Night of the Flood is an intricate and intimate examination of the moment when chaos is released--in both society and the human spirit. Contributors: E.A. Aymar, Rob Brunet, Sarah M. Chen, Angel Luis Col n, Hilary Davidson, Mark Edwards, Gwen Florio, Elizabeth Heiter, J.J. Hensley, Jennifer Hillier, Shannon Kirk, Jenny Milchman, Alan Orloff, and Wendy Tyson.